For many people, sticking to New Year’s resolutions can seem like an impossible challenge. If you’re trying to lose weight, or improve your physical and mental health, you need to make exercise a lifestyle habit. Anything from a light walk, yoga or a leisurely swim to more intense physical workouts. In order to achieve your goals, you need to prioritise making time for a specific activity or incorporating it as part of a daily routine, or both. Start with a simple step such as eating healthier or incorporating an exercise, like cycling, walking, swimming or a gym workout, into your day – the level of intensity is up to you. By following our top 5 tips to lose weight and start a new healthy lifestyle, you can make it work in the long term. Don’t set yourself up for failure. Be clear about your short term and long term goals and make them realistic and achievable. There’s no shortcut to losing weight and keeping it off. Intensive crash diets promise drastic weight loss but they are not sustainable. Quick fix diets and fads don’t work in the long term. Instead, concentrate on a holistic change in mindset and lifestyle. 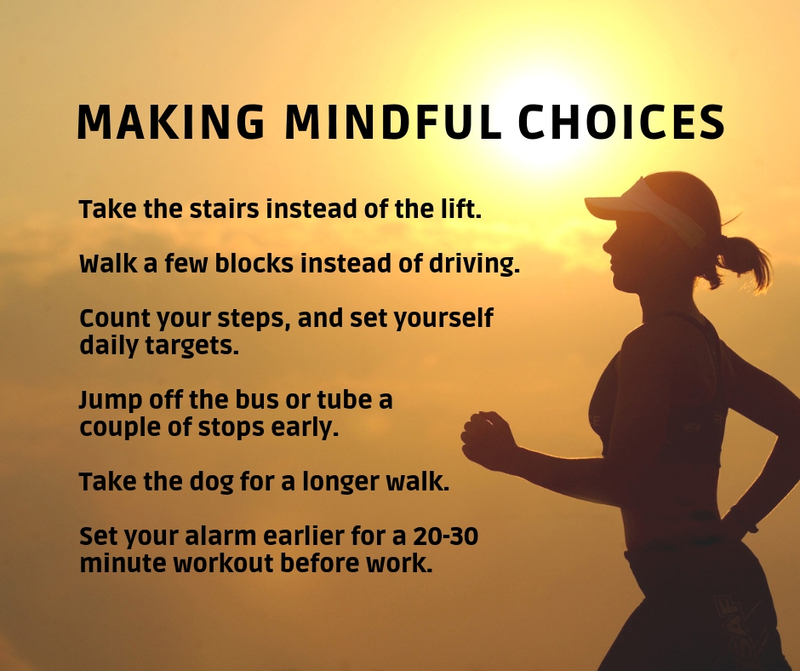 A fit and healthy body is achieved through mindful lifestyle choices and actions. Exercise should be incorporated into your daily routine, like showering or brushing your teeth. And don’t take a day off – consistency is key. Always eat three meals and three snacks per day, and ensure you have the ingredients to cook at least 5 meals per week from scratch. Aim to combine at least three out of the five food groups per meal. Set yourself daily and weekly fitness and nutrition goals. First thing in the morning, write down the activity that you want to achieve today. Tell yourself that you “will” do it rather than “can” do it. When it’s done, tick it off. You may find it therapeutic to write a journal – discover what works for you, notice eating and fitness patterns and use it as motivation when you are struggling. Whatever your own personal health and fitness goals are, make them your priority. You will only regret not doing it.